"In the past I have shared with my brother and mother about the work that I am going to do. I think if you are close to somebody, you tend to share something that is so important to you and films are a very important part of my life," Ishaan said in a statement to IANS. "And because he is part of the same industry, it is much easier for him to understand. He doesn't demand that I share everything with him or my mother. But I like to share things with my mother and brother," he added. 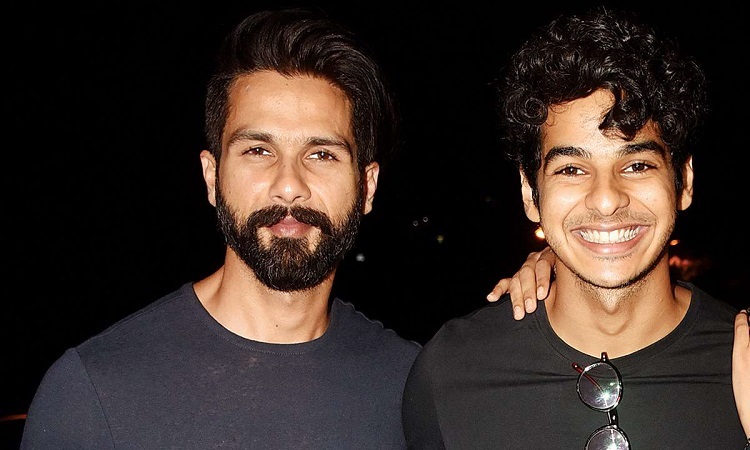 Ishaan made his film debut with Iranian filmmaker Majid Majidi's "Beyond The Clouds", but "Dhadak" marked Ishaan's entry in Bollywood. An adaptation of Marathi hit "Sairat", "Dhadak" marked the much-awaited Bollywood foray of Janhvi Kapoor. It will find its way on the Indian small screen on Sunday on Zee Cinema. On his love for dance, he said: "Actually my mother was the first dancer in our family and she is the most accomplished of us all as a dancer. I don't think I was even conscious that my brother was a dancer when I started dancing, I was very young." "I definitely share dance with him. We are very passionate about dance and he is the more experienced dancer. He has been a mentor and he has taught me dance a lot of different techniques. So he definitely is my teacher and mentor," he added. "I would either be a dancer or do something else related to cinema in the creative department or I would just be an explorer," he said.